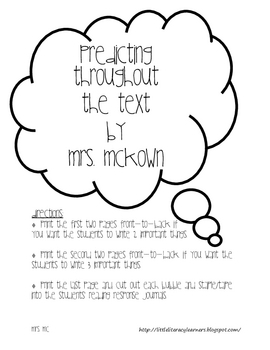 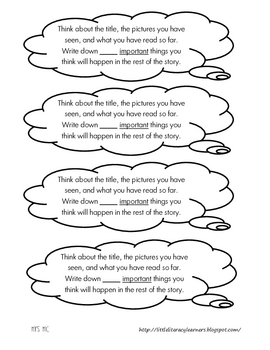 These prompts will help your readers think about what they will be reading and monitor their comprehension as they read. 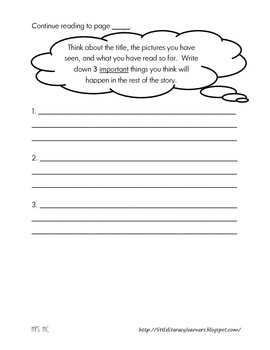 Find 2 good "stopping points" in the text you are reading in small group-usually 2-3 pages into the text and then 2-3 pages later and mark them with a small sticky note to help signal the students to stop reading. 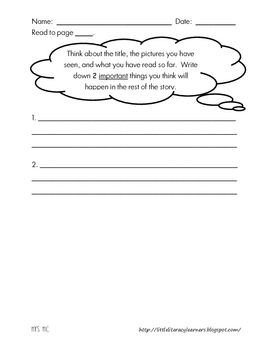 Once the students read to the first "stopping point" present them with one of the prompts; which are adapted from the Developmental Reading Assessment-2nd Edition (DRA2).